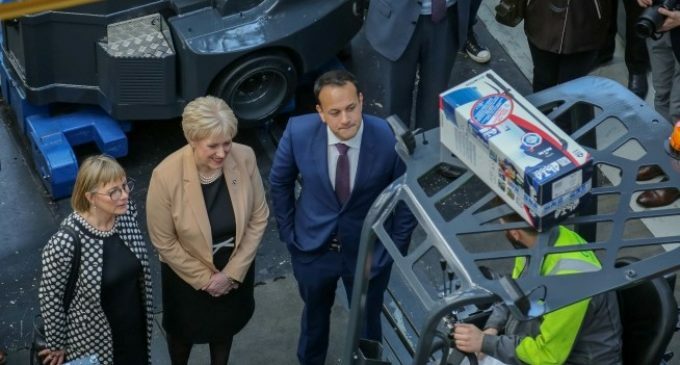 The 200 new jobs, to be created over the next 3 years, will be for skilled technicians, design engineers, logistics and supply chain specialists and those with mechanical and electrical mechatronics skills. Combilift currently employs 550 people for the manufacture of its forklifts and material handling products. 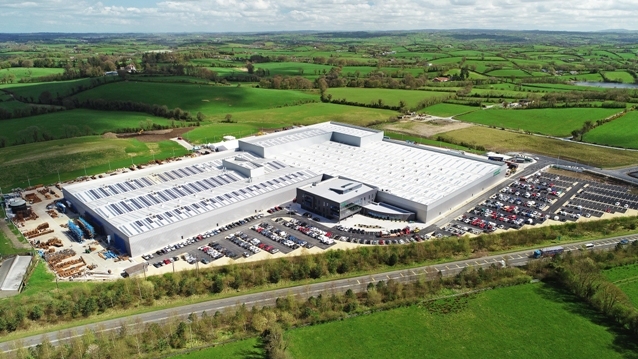 Built at a cost of €50 million, the new 46,500 metres square (500,000 sq ft) Global Headquarters and manufacturing facility will allow Combilift to double production. Established in 1998, Combilift currently exports 98% of its products to 85 countries through its 250-strong international dealer network. Combilift offers a free logistic and warehouse design service. “Our engineers proactively design, plan and produce solutions in collaboration with our customers by offering material flow analysis and 3D animations,” says McVicar. Incorporating the latest manufacturing processes with a focus on sustainability, the new factory will enable Combilift to double its output in a single shift across all production lines. Four 90 metre moving assembly lines produce a finished truck every 15 minutes. 30% of its roof space is covered in skylights enabling staff to work in natural daylight without the assistance of artificial lighting. Lighting is provided through 1100 LED light with individual sensors. Solar panels supply 185 kW of energy with a 1 MW Biomass plant fuelled by recycled wood (pallets etc) to heat the spray booths and assembly area. 110,000 litres of rain water is harvested for use throughout the facility.